The Pentagon, Arlington County, Virginia, U.S.
Khalid Muhammad Abdallah al-Mihdhar (Arabic: خالد المحضار‎, Khālid al-Miḥḍār; also transliterated as Almihdhar) (May 16, 1975[a] – September 11, 2001) was a Saudi Arabian terrorist. He was one of the five hijackers of American Airlines Flight 77, which was flown into the Pentagon as part of the September 11 attacks. Mihdhar was born in Saudi Arabia and fought with the Bosnian mujahideen during the Bosnian War of the 1990s. In early 1999, he traveled to Afghanistan where, as an experienced and respected jihadist, he was selected by Osama bin Laden to participate in the attacks. Mihdhar arrived in California with fellow hijacker Nawaf al-Hazmi in January 2000, after traveling to Malaysia for the Kuala Lumpur al-Qaeda Summit. At this point, the CIA was aware of Mihdhar, and he was photographed in Malaysia with another al-Qaeda member who was involved in the USS Cole bombing. The CIA did not inform the FBI when it learned that Mihdhar and Hazmi had entered the United States, and Mihdhar was not placed on any watchlists until late August 2001. Upon arriving in San Diego County, California, Mihdhar and Hazmi were to train as pilots, but spoke English poorly and did not do well with flight lessons. In June 2000, Mihdhar left the United States for Yemen, leaving Hazmi behind in San Diego. Mihdhar spent some time in Afghanistan in early 2001 and returned to the United States in early July 2001. He stayed in New Jersey in July and August, before arriving in the Washington, D.C. area at the beginning of September. On the morning of September 11, 2001, Mihdhar boarded American Airlines Flight 77, which was hijacked approximately 30 minutes after take off. The plane was deliberately crashed into the Pentagon, killing all 64 people aboard the flight, along with 125 on the ground. Al-Mihdhar was born on May 16, 1975, in Mecca, Saudi Arabia to a prominent family, related to the Quraysh tribe of Mecca. Little is known about his life before the age of 20, when he and childhood friend Nawaf al-Hazmi went to Bosnia and Herzegovina to fight with the mujahideen in the Bosnian War. After the war, Mihdhar and Hazmi went to Afghanistan where they fought alongside the Taliban against the Northern Alliance, and al-Qaeda would later dub Hazmi his "second in command". In 1997, Mihdhar told his family that he was leaving to fight in Chechnya, though it is not certain that he actually went to Chechnya. The same year, both men attracted the attention of Saudi Intelligence, who believed they were involved in arms smuggling, and the following year they were eyed as possible collaborators in the 1998 United States embassy bombings in East Africa after it emerged that Mohamed Rashed Daoud Al-Owhali had given the FBI the phone number of Mihdhar's father-in-law; 967-1-200578, which turned out to be a key communications hub for al-Qaeda militants, and eventually tipped off the Americans about the upcoming Kuala Lumpur al-Qaeda Summit. In the late 1990s, Mihdhar married Hoda al-Hada, who was the sister of a comrade from Yemen, and they had two daughters. Through marriage, Mihdhar was related to a number of individuals involved with al-Qaeda in some way. Mihdhar's father-in-law, Ahmad Mohammad Ali al-Hada, helped facilitate al-Qaeda communications in Yemen, and in late 2001, Mihdhar's brother-in-law, Ahmed al-Darbi, was captured in Azerbaijan and sent to Guantanamo Bay on charges of supporting a plot to bomb ships in the Strait of Hormuz. In Spring 1999, al-Qaeda founder Osama bin Laden committed to support the 9/11 attacks plot, which was largely organized by prominent al-Qaeda member Khalid Sheikh Mohammed. Mihdhar and Hazmi were among the first group of participants selected for the operation, along with Tawfiq bin Attash and Abu Bara al Yemeni, al-Qaeda members from Yemen. Mihdhar, who had spent time in al-Qaeda camps in the 1990s, was known and highly regarded by Bin Laden. Mihdhar was so eager to participate in jihad operations in the United States that he had already obtained a one-year B-1/B-2 (tourist/business) multiple-entry visa from the consulate in Jeddah, Saudi Arabia, on April 7, 1999, one day after obtaining a new passport. 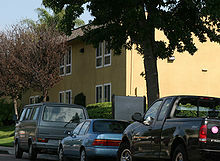 Mihdhar listed the Los Angeles Sheraton as his intended destination. Once selected, Mihdhar and Hazmi were sent to the Mes Aynak training camp in Afghanistan. In late 1999, Hazmi, Attash and Yemeni went to Karachi, Pakistan to see Mohammed, who instructed them on Western culture and travel; however, Mihdhar did not go to Karachi, instead returning to Yemen. He was known as Sinaan during the preparations. The CIA was aware of Mihdhar and Hazmi's involvement with al-Qaeda, having been informed by Saudi intelligence during a 1999 meeting in Riyadh. Based on information uncovered by the FBI in the 1998 United States embassy bombings case, the National Security Agency (NSA) began tracking the communications of Hada, Mihdhar's father-in-law. In late 1999, the NSA informed the CIA of an upcoming meeting in Malaysia, which Hada mentioned would involve "Khalid", "Nawaf", and "Salem", who was Hazmi's younger brother, Salem al-Hazmi. On January 4, 2000, Mihdhar left Yemen and flew to Dubai, United Arab Emirates, where he spent the night. The CIA broke into his hotel room and photocopied his passport, which gave them his full name, birth information and passport number for the first time, and alerted them that he held an entry visa to the United States. The photocopy was sent to the CIA's Alec Station, which was tracking al-Qaeda. On January 5, 2000, Mihdhar traveled to Kuala Lumpur, where he joined Hazmi, Attash and Yemeni, who were all arriving from Pakistan. Hamburg cell member Ramzi bin al-Shibh was also at the summit, and Mohammed possibly attended. The group was in Malaysia to meet with Hambali, the leader of Jemaah Islamiyah, an Asian al-Qaeda affiliate. During the Kuala Lumpur al-Qaeda Summit, many key details of the 9/11 attacks may have been arranged. At the time, the attacks plot had an additional component involving hijacking aircraft in Asia, as well as in the United States. Attash and Yemeni were slated for this part of the plot. However, it was later canceled by Bin Laden for being too difficult to coordinate with United States operations. In Malaysia, the group stayed with Yazid Sufaat, a local Jemaah Islamiyah member, who provided accommodation at Hambali's request. Both Mihdhar and Hazmi were secretly photographed at the meeting by Malaysian authorities, whom the CIA had asked to provide surveillance. The Malaysians reported that Mihdhar spoke at length with Attash, and he met with Fahd al-Quso and others who were later involved in the USS Cole bombing. After the meeting, Mihdhar and Hazmi traveled to Bangkok, Thailand, on January 8 and left a week later on January 15 for the United States. On January 15, 2000, Mihdhar and Hazmi arrived at Los Angeles International Airport from Bangkok and were admitted as tourists for a period of six months. Immediately after entering the country, Mihdhar and Hazmi met Omar al-Bayoumi in an airport restaurant. Bayoumi claimed he was merely being charitable in assisting the two seemingly out-of-place Muslims with moving to San Diego, where he helped them find an apartment near his own, co-signed their lease, and gave them $1,500 to help pay their rent. Mohammed later claimed that he suggested San Diego as their destination, based on information gleaned from a San Diego phone book that listed language and flight schools. Mohammed also recommended that the two seek assistance from the local Muslim community, since neither spoke English nor had experience with Western culture. While in San Diego, witnesses told the FBI he and Hazmi had a close relationship with Anwar Al Awlaki, an imam who served as their spiritual advisor. Authorities say the two regularly attended the Masjid Ar-Ribat al-Islami mosque Awlaki led in San Diego, and Awlaki had many closed-door meetings with them, which led investigators to believe Awlaki knew about the 9/11 attacks in advance. In early February 2000, Mihdhar and Hazmi rented an apartment at the Parkwood Apartments complex in the Clairemont Mesa area of San Diego, and Mihdhar purchased a used 1988 Toyota Corolla. Neighbors thought that Mihdhar and Hazmi were odd because months passed without the men getting any furniture, and they slept on mattresses on the floor, yet they carried briefcases, were frequently on their mobile phones, and were occasionally picked up by a limousine. 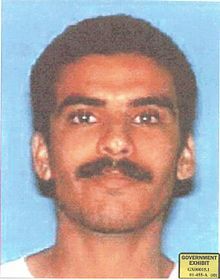 Those who met Mihdhar in San Diego described him as "dark and brooding, with a disdain for American culture". Neighbors also said that the pair constantly played flight simulator games. Mihdhar and Hazmi took flight lessons on May 5, 2000, at the Sorbi Flying Club in San Diego, with Mihdhar flying an aircraft for 42 minutes. They took additional lessons on May 10; however, with poor English skills, they did not do well with flight lessons. Mihdhar and Hazmi raised some suspicion when they offered extra money to their flight instructor, Richard Garza, if he would train them to fly jets. Garza refused the offer but did not report them to authorities. After the 9/11 attacks, Garza described the two men as "impatient students" who "wanted to learn to fly jets, specifically Boeings". Mihdhar and Hazmi moved out of the Parkwood Apartments at the end of May 2000, and Mihdhar transferred registration for the Toyota Corolla to Hazmi. On June 10, 2000, Mihdhar left the United States and returned to Yemen to visit his wife, against the wishes of Mohammed who wanted him to remain in the United States to help Hazmi adapt. Mohammed was so angered by this that he decided to remove Mihdhar from the 9/11 plot, but he was overruled by bin Laden. Mihdhar remained part of the plot as a muscle hijacker, who would help take over the aircraft. On October 12, 2000, the USS Cole was bombed by a small boat laden with explosives. After the bombing, Yemeni Prime Minister Abdul Karim al-Iryani reported that Mihdhar had been one of the key planners of the attack and had been in the country at the time of the attacks. In late 2000, Mihdhar was back in Saudi Arabia, staying with a cousin in Mecca. In February 2001, Mihdhar returned to Afghanistan for several months, possibly entering across the Iranian border after a flight from Syria. FBI director Robert Mueller later stated his belief that Mihdhar served as the coordinator and organizer for the muscle hijackers. He was the last of the muscle hijackers to return to the United States. On June 10, he returned to Saudi Arabia for a month, where he applied to re-enter the United States through the Visa Express program, indicating that he intended to stay at a Marriott hotel in New York City. On his visa application, Mihdhar falsely stated that he had never previously traveled to the United States. On July 4, Mihdhar returned to the United States, arriving at New York City's John F. Kennedy International Airport, using a new passport obtained the previous month. A digital copy of one of Mihdhar's passports was later recovered during a search of an al-Qaeda safe house in Afghanistan, which held indicators, such as fake or altered passport stamps, that Mihdhar was a member of a known terrorist group. At the time when Mihdhar was admitted to the United States, immigration inspectors had not been trained to look for such indicators. Upon arriving, Mihdhar did not check into the Marriott but instead spent a night at another hotel in the city. Mihdhar bought a fake ID on July 10 from All Services Plus in Passaic County, New Jersey, which was in the business of selling counterfeit documents, including another ID to Flight 11 hijacker Abdulaziz al-Omari. On August 1, Mihdhar and fellow Flight 77 hijacker Hani Hanjour drove to Virginia in order to obtain driver's licenses. Once they arrived, they scouted out a 7-Eleven convenience store and a dollar store in Falls Church, and found two Salvadoran immigrants who, for $50 each, were willing to vouch for Mihdhar and Hanjour as being Virginian residents. With notarized residency forms, Mihdhar and Hanjour were able to obtain driver's licenses at a Virginian motor vehicle office. Flight 77 hijackers Salem al-Hazmi and Majed Moqed, and United Airlines Flight 93 hijacker Ziad Jarrah used the same addresses obtained from the Salvadorans to obtain Virginian driver's licenses. In August 2001, Mihdhar and Hazmi made several visits to the library at William Paterson University in Wayne, New Jersey, where they used computers to look up travel information and book flights. On August 22, Mihdhar and Hazmi tried to purchase flight tickets from the American Airlines online ticket-merchant, but had technical difficulties and gave up. Mihdhar and Moqed were able to make flight reservations for Flight 77 on August 25, using Moqed's credit card; however, the transaction did not fully go through because the billing address and the shipment address for the tickets did not match. On August 31, Mihdhar closed an account at Hudson United Bank in New Jersey, having opened the account when he arrived in July, and was with Hanjour when he made a withdrawal from an ATM in Paterson on September 1. The next day, Mihdhar, Moqed and Hanjour traveled to Maryland, where they stayed at budget motels in Laurel. Mihdhar was among the muscle hijackers who worked out at a Gold's Gym in Greenbelt in early September. On September 5, Mihdhar and Moqed went to the American Airlines ticket counter at Baltimore-Washington International Airport to pick up their tickets for Flight 77, paying $2,300 in cash. Mihdhar was placed on a CIA watchlist on August 21, 2001, and a note was sent on August 23 to the Department of State and the Immigration and Naturalization Service (INS) suggesting that Mihdhar and Hazmi be added to their watchlists. The Federal Aviation Administration (FAA) was not notified about the two men. On August 23, the CIA informed the FBI that Mihdhar had obtained a U.S. visa in Jeddah. The FBI headquarters received a copy of the Visa Express application from the Jeddah embassy on August 24, showing the New York Marriott as Mihdhar's destination. On August 28, the FBI New York field office requested that a criminal case be opened to determine whether Mihdhar was still in the United States, but the request was refused. The FBI ended up treating Mihdhar as an intelligence case, which meant that the FBI's criminal investigators could not work on the case, due to the barrier separating intelligence and criminal case operations. An agent in the New York office sent an e-mail to FBI headquarters saying, "Whatever has happened to this, someday someone will die, and the public will not understand why we were not more effective and throwing every resource we had at certain 'problems.'" The reply from headquarters was, "we [at headquarters] are all frustrated with this issue ... [t]hese are the rules. NSLU does not make them up." The FBI contacted Marriott on August 30, requesting that they check guest records, and on September 5, they reported that no Marriott hotels had any record of Mihdhar checking in. The day before the attacks, Robert Fuller of the New York office requested that the Los Angeles FBI office check all local Sheraton Hotels, as well as Lufthansa and United Airlines bookings, because those were the two airlines Mihdhar had used to enter the country. Neither the Treasury Department's Financial Crimes Enforcement Network nor the FBI's Financial Review Group, which have access to credit card and other private financial records, were notified about Mihdhar prior to September 11. Regarding the CIA's refusal to inform the FBI about Mihdhar and Hazmi, author Lawrence Wright suggests the CIA wanted to protect its turf and was concerned about giving sensitive intelligence to FBI Agent John P. O'Neill, who Alec Station chief Michael Scheuer described as duplicitous. Wright also speculates that the CIA may have been protecting intelligence operations overseas, and might have been eying Mihdhar and Hazmi as recruitment targets to obtain intelligence on al-Qaeda, although the CIA was not authorized to operate in the United States and might have been leaving them for Saudi intelligence to recruit. On September 10, 2001, Mihdhar and the other hijackers checked into the Marriott Residence Inn in Herndon, Virginia, near Washington Dulles International Airport. Saleh Ibn Abdul Rahman Hussayen, a prominent Saudi Arabian government official, was staying at the same hotel that night, although there is no evidence that they met or knew of each other's presence. At 6:22 a.m. on September 11, 2001, the group checked out of the hotel and headed to Dulles airport. At 7:15 a.m., Mihdhar and Moqed checked in at the American Airlines ticket counter and arrived at the passenger security checkpoint at 7:20 a.m. Both men set off the metal detector and were put through secondary screening. Security video footage later released shows that Moqed was wanded, but the screener did not identify what set off the alarm, and both Moqed and Mihdhar were able to proceed without further hindrance. Mihdhar was also selected by the Computer Assisted Passenger Prescreening System (CAPPS), which involved extra screening of his luggage; however, because Mihdhar did not check any luggage, this had no effect. By 7:50 a.m., Mihdhar and the other hijackers, carrying knives and box cutters, had made it through the airport security checkpoint and boarded Flight 77 to Los Angeles. Mihdhar was seated in seat 12B, next to Moqed. The flight was scheduled to depart from Gate D26 at 8:10 a.m. but was delayed by 10 minutes. The last routine radio communication from the plane to air traffic control occurred at 8:50:51 a.m. At 8:54 a.m., Flight 77 deviated from its assigned flight path and began to turn south, at which point the hijackers set the flight's autopilot setting for Washington, D.C. Passenger Barbara Olson called her husband, United States Solicitor General Ted Olson (whose 61st birthday was on that day), and reported that the plane had been hijacked. At 9:37:45 a.m, Flight 77 crashed into the west facade of the Pentagon, killing all 64 people aboard, along with 125 in the Pentagon. In the recovery process, remains of the five hijackers were identified through a process of elimination, since their DNA did not match any from the victims, and put into the custody of the FBI. After the attacks, the identification of Mihdhar was one of the first links suggesting that bin Laden had played a role in their organization, since Mihdhar had been seen at the Malaysian conference speaking to bin Laden's associates. The FBI interrogated Quso, who was arrested following the USS Cole bombing and in custody in Yemen. Quso was able to identify Mihdhar, Hazmi and Attash in photos provided by the FBI, and he also knew Marwan al-Shehhi, a hijacker aboard United Airlines Flight 175. From Quso, the FBI was able to establish an al-Qaeda link to the attacks. On September 12, 2001, the Toyota Corolla purchased by Mihdhar was found in Dulles International Airport's hourly parking lot. Inside the vehicle, authorities found a letter written by Mohamed Atta, a hijacker aboard American Airlines Flight 11; maps of Washington, D.C. and New York City; a cashier's check made out to a Phoenix, Arizona flight school; four drawings of a Boeing 757 cockpit; a box cutter; and a page with notes and phone numbers, which contained evidence that led investigators to San Diego. On September 19, 2001, the Federal Deposit Insurance Corporation (FDIC) distributed a special alert that listed Mihdhar as still alive, and other reports began suggesting that a number of the alleged hijackers were likewise still alive. For instance, on September 23, 2001, the BBC published an article that suggested Mihdhar and others named as hijackers were still at large. The German magazine Der Spiegel later investigated the BBC's claims of "living" hijackers and reported they were cases of mistaken identities. In 2002, Saudi Arabian officials stated that the names of the hijackers were correct and that 15 of the 19 hijackers were Saudi Arabian. In 2006, in response to 9/11 conspiracy theories surrounding its original news story, the BBC said that confusion had arisen with the common Arabic names, and that its later reports on the hijackers superseded its original story. In 2005, U.S. Army Lt. Col. Anthony Shaffer and Congressman Curt Weldon alleged that the Defense Department data mining project Able Danger identified Mihdhar, Hazmi, Shehhi, and Atta as members of a Brooklyn-based al-Qaeda cell in early 2000. Shaffer largely based his allegations on the recollections of Navy Captain Scott Phillpott, who later recanted his recollection, telling investigators that he was "convinced that Atta was not on the chart that we had". Phillpott said that Shaffer was "relying on my recollection 100 percent", and the Defense Department Inspector General's report indicated that Philpott strongly supported the social network analysis techniques used in Able Danger, and might have exaggerated claims of identifying the hijackers. ^ There is some discrepancy over Mihdhar's date of birth. The National Commission on Terrorist Attacks Upon the United States observes that "Mihdhar uses May 16, 1975 as his birthdate on his ID, as well as on his U.S. visa. See 9/11 and Terror Travel Archived 2008-10-05 at the Wayback Machine, p. 192 for ID card; see also copy of Mihdhar's visa . George Tenet gave testimony that "The CIA gave Mihdhar's birthdate as May 5, 1975" ( "11 September 2001 Hijackers" (PDF). Testimony by George Tenet before the Joint Inquiry into Terrorist Attacks Against the United States. Federation of American Scientists (FAS). 2002-06-18. Archived (PDF) from the original on 2008-10-05. Retrieved 2008-09-29. ). ^ "U.S.D.C. Eastern District of Virginia". www.vaed.uscourts.gov. Archived from the original on 2009-05-13. Retrieved 2008-10-01. ^ McDermott, Terry (2002-09-01). "The Plot: How Terrorists hatched a simple plan to use planes as bombs". Los Angeles Times. Archived from the original on 2008-10-09. ^ Mayer, Jane, "The Dark Side", 2008. ^ "Saudis, US Disclose Intel Operations on Terror". FOX News. 2003-10-16. Archived from the original on 2008-10-09. Retrieved 2008-09-30. ^ "Dead Suspect Had Links To Terrorism". The New York Times. 2002-02-15. Archived from the original on 2008-10-09. Retrieved 2008-09-30. ^ Hosenball, Mark; et al. (2002-02-25). "Periscope". Newsweek. Archived from the original on 2008-10-09. Retrieved 2008-09-30. ^ Rosenberg, Carol (2008-04-09). "Saudi Terror Suspect: Military Trials a `Sham'". Miami Herald. Archived from the original on 2008-10-09. Retrieved 2008-09-30. ^ a b c d Wright, Lawrence (2006-07-10). "The Agent: Did the CIA Stop an FBI Detective from Preventing 9/11". The New Yorker. Archived from the original on 2008-10-09. Retrieved 2008-09-30. ^ "Report of the Joint Inquiry into the Terrorist Attacks of September 11, 2001" (PDF). U.S. Government Printing Office. 2002. p. 144. Archived from the original (PDF) on October 5, 2008. Retrieved 2008-09-30. ^ "The Man Who Knew: What If..." Frontline. PBS. Archived from the original on 2008-10-09. Retrieved 2008-09-29. ^ Bamford, James; Willis, Scott (February 3, 2009). "The Spy Factory". PBS. Archived from the original on 2014-04-11. Retrieved July 2, 2013. ^ Iskioff, Michael and Evan Thomas (2002-12-02). "The Saudi Money Trail". Newsweek. Archived from the original on 2008-10-09. Retrieved 2008-09-30. ^ "Outline of the 9/11 Plot, Staff Statement No. 16" (PDF). National Commission on Terrorist Attacks Upon the United States. 2004. p. 5. Archived (PDF) from the original on 2008-10-05. Retrieved 2008-09-30. ^ McGeary, Johanna; David Van Biema (2001-09-24). "The New Breed of Terrorist". TIME Magazine. Archived from the original on 2008-10-09. Retrieved 2008-09-30. ^ Helmore, Edward; Ed Vulliamy (2001-10-07). "Saudi hijacker 'was key link to bin Laden'". The Observer. Archived from the original on 2008-10-09. Retrieved 2008-09-30. ^ Simpson, Cam (2002-09-27). "2 hijackers' roles in organizing 9/11 plot revealed". Chicago Tribune. ^ Miller, Jonathan (2003-03-08). "A Plea Deal, Then Freedom, in Terror Case Where Prosecutors Kept Evidence a Secret". The New York Times. Archived from the original on 2008-10-09. Retrieved 2008-09-29. ^ "Risk to Homeland Security from Identity Fraud and Identity Theft" (PDF). Testimony before the House Committee on the Judiciary. Government Printing Office. 2002-06-25. p. 7. Archived (PDF) from the original on 2008-10-12. Retrieved 2008-10-08. ^ Cohen, Robert and Kelly Heyboer (2005-04-29). "9/11 pair used state college to buy airfare". Star-Ledger (Newark). ^ "Statement of Robert S. Mueller: Joint Investigation Into September 11". Federation of American Scientists (FAS). 2002-09-26. Archived from the original on 2008-12-05. Retrieved 2008-09-30. ^ Masters, Brook A.; et al. (2001-09-19). "Dulles Hijackers Made Maryland Their Base". The Washington Post. Archived from the original on 2008-10-09. ^ a b Smith, R. Jeffrey (2003-07-25). "A History of Missed Connections". The Washington Post. Retrieved 2008-09-30. ^ a b c "Testimony of Michael E. Rolince". Joint Inquiry into the Events of September 11, 2001. Federal Bureau of Investigation. 2002-09-20. Archived from the original on 2011-01-12. Retrieved 2008-09-29. ^ a b Hill, Eleanor (2002-09-20). "The Intelligence Community's Knowledge of the September 11 Hijackers Prior to September 11, 2001". Joint Inquiry into the Events of September 11, 2001. Federation of American Scientists (FAS). Archived from the original on 2008-10-10. Retrieved 2008-09-29. ^ "Prepared Statement of a New York Special Agent". Joint Inquiry into the Events of September 11, 2001. Federation of American Scientists (FAS). 2002-09-20. Archived from the original on 2008-10-14. Retrieved 2008-09-29. ^ Schmidt, Susan (2003-10-02). "Spreading Saudi Fundamentalism in U.S." The Washington Post. Archived from the original on 2008-10-09. Retrieved 2008-09-29. ^ "New Video of 9/11 hijackers at Dulles Airport before attacks". Anderson Cooper 360 Degrees. 2004-07-21. CNN. Archived from the original on 2008-10-09. Retrieved 2008-09-30. ^ "The Aviation Security System and the 9/11 Attacks – Staff Statement No. 3" (PDF). National Commission on Terrorist Attacks Upon the United States. p. 9. Archived (PDF) from the original on 2008-05-28. Retrieved 2008-05-30. ^ a b "Staff Monograph on the "Four Flights and Civil Aviation Security"" (PDF). National Commission on Terrorist Attacks Upon the United States. September 2005. pp. 27–29. Archived from the original (PDF) on 2007-11-05. Retrieved 2008-08-14. ^ Gregor, Joseph A. (2001-12-21). "ATC Report American Airlines Flight 77" (PDF). National Transportation Safety Board. p. 13. Archived from the original (PDF) on April 9, 2008. Retrieved 2008-06-01. ^ O'Callaghan, John; Bower, Daniel (2002-02-13). "Study of Autopilot, Navigation Equipment, and Fuel Consumption Activity Based on United Airlines Flight 93 and American Airlines Flight 77 Digital Flight Data Recorder Information" (PDF). National Transportation Safety Board. p. 6. Archived from the original (PDF) on April 9, 2008. Retrieved 2008-06-01. ^ Johnson, Glen (November 23, 2001). "Probe reconstructs horror, calculated attacks on planes". The Boston Globe. Archived from the original on 2008-10-09. Retrieved 2008-06-01. ^ "American Airlines Flight 77 FDR Report" (PDF). National Transportation Safety Board. 2002-01-31. p. 2. Archived (PDF) from the original on 2015-03-16. Retrieved 2008-06-02. ^ "Remains Of 9 Sept. 11 Hijackers Held". CBS News. 2002-08-17. Archived from the original on 2008-10-09. Retrieved 2008-09-30. ^ Edson, S. M.; et al. (January 2004). "Naming the Dead – Confronting the Realities of Rapid Identification of Degraded Skeletal Remains". Forensic Science Review. 16 (1): 64–90. PMID 26256813. ^ Blackhurst, Chris (2001-09-30). "Piece by piece, the jigsaw of terror revealed". The Independent. Archived from the original on 2017-05-10. Retrieved 2017-09-02. ^ Burns, Vincent (2005). Terrorism: A Documentary and Reference Guide. Greenwood Press. p. 139. ISBN 0-313-33213-4. ^ Meyer, Josh; Eric Lichtblau (2001-09-27). "Authorities' Dragnet Snags More Suspects". Los Angeles Times. Archived from the original on 2008-10-09. ^ "Inactive Financial Institution Letters". Federal Deposit Insurance Corporation. 2001-09-19. Archived from the original on 2008-10-05. Retrieved 2008-09-29. ^ "Hijack 'suspects' alive and well". BBC News. 23 September 2001. Archived from the original on 2008-10-09. Retrieved 2008-09-30. ^ Cziesche, Dominik; et al. (2003-09-08). "Panoply of the Absurd". Der Spiegel. Archived from the original on 2008-10-09. Retrieved 2008-09-30. ^ "Official: 15 of 19 Sept. 11 hijackers were Saudi". USA Today. 2002-02-06. Archived from the original on 2008-10-09. Retrieved 2008-09-30. ^ Hermann, Steve (2006-10-27). "9/11 conspiracy theory". BBC News. Archived from the original on 2008-10-09. Retrieved 2008-09-30. ^ Jehl, Douglas (2005-08-09). "Four in 9/11 Plot Are Called Tied to Qaeda in '00". The New York Times. Archived from the original on 2008-10-09. Retrieved 2008-09-29. ^ Eggen, Dan (2005-08-19). "Officer Says 2 Others Are Source of His Atta Claims". The Washington Post. Archived from the original on 2008-10-09. Retrieved 2008-09-29. ^ White, Josh (2006-09-22). "Hijackers Were Not Identified Before 9/11, Investigation Says". The Washington Post. Archived from the original on 2008-10-09. Retrieved 2008-09-29. ^ "Office Inspector General's Report" (PDF). Department of Defense. 2006-09-18. pp. 17–22. Archived (PDF) from the original on 2008-08-20. Retrieved 2008-09-29. "9/11 Commission Report" (PDF). National Commission on Terrorist Attacks Upon the United States. 2004. Retrieved 2008-09-30. "9/11 and Terror Travel: Appendix" (PDF). National Commission on Terrorist Attacks Upon the United States. 2004. Retrieved 2008-09-30. Aust, Stefan; Der Spiegel Magazine (2002). Inside 9-11: What Really Happened. Schnibben, Cordt. MacMillan. ISBN 0-312-98748-X. Burke, Jason (2004). Al-Qaeda: The True Story of Radical Islam. I.B. Tauris. ISBN 1-85043-666-5. Federal Bureau of Investigation (2008-02-04). "Hijackers' Timeline" (PDF). NEFA Foundation. Archived from the original (PDF) on 2008-10-12. Retrieved 2008-10-06. Fouda, Yosri; Fielding, Nick (2003). Masterminds of Terror: The Truth Behind the Most Devastating Terrorist Attack the World Has Ever Seen. Arcade. ISBN 1-55970-708-9. McDermott, Terry (2005). Perfect Soldiers: The Hijackers: Who They Were, Why They Did It. HarperCollins. ISBN 0-06-058469-6. Smith, Paul J. (2005). Terrorism and Violence in Southeast Asia: Transnational Challenges to States and Regional Stability. M.E. Sharpe. ISBN 0-7656-1433-2. Wright, Lawrence (2006). The Looming Tower: Al Qaeda and the Road to 9/11. Alfred A. Knopf. ISBN 0-375-41486-X. People listed in italics have died. 1 Currently imprisoned. 2 Released after serving sentence.